This is hilarious … and true … and sad. I’m so distracted with so much. Even as I write this, I have Monday Night Football on and am eating a couple pieces of toast. I’m thinking about my day tomorrow and a meeting I need to plan, and a million other things. Maybe you’re like me. I sit down to have a time with God every day. Just an hour or so to be close to my Father. To hear from him, talk with him, surrender my day to him. And then the monkeys start jumping up and down. I really desire to be a man after God’s own heart, and I know that starts in solitude with God. Nouwen defines solitude as “being with God and God alone,” and we need to create space in our lives for that. But it’s so hard to spend time with God alone when the monkeys are in the trees. God wants to tell me, You are my beloved. You matter to me. Be still and know I am your God. But I still hear the monkeys constantly chattering, What about what you thought about last night? Try harder. Work more. Prove you are beloved. You can’t. You’re not good enough. Jesus listened to that voice all the time, and he was able to walk right through life. People were applauding him, laughing at him; praising him and rejecting him; calling “Hosanna!” and calling “Crucify!” But in the midst of that, Jesus knew one thing—I am the beloved; I am God’s favorite one. He clung to that voice. In the same article, Nouwen says that solitude with God comes first, and then community and then ministry. 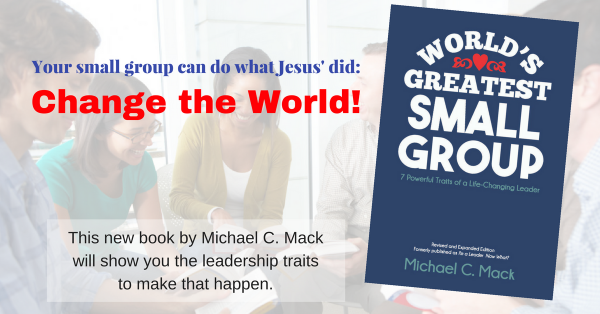 This is important for people who desire to be leaders after God’s own heart, leaders who bear fruit because we are connected with Jesus. But more on this in upcoming posts. So … how do you silence the monkeys? What do you do to be with God and God alone? * from the article, “Moving from Solitude to Community to Ministry,” Leadership magazine, Spring 1995. Get free updates to receive more resources like this! I make it a priority in my day by getting up earlier than I need to–so there is time at the beginning of the day. If I waited until night there is no way I would be consistent. Another way I do it is by journaling my reading and prayer time. (I do it right at the computer because that is my favorite spot to be.) It is great to read later in life so see the things that were soooooo vital at the time but now seem so insignificant. Thanks for sharing this, Ellen! I like that you use the word "priority." We all need to find the way that fits us best for how and when we do that, but I like how you've made it your priority. Thanks for being a model of a consistent spiritual life for others!